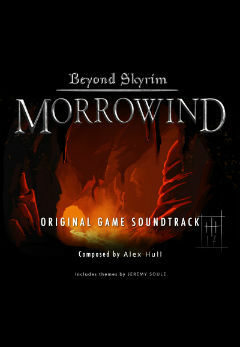 //"Beyond Skyrim: Morrowind Official Soundtrack"
Venture to Morrowind, a vast and alien land that has suffered greatly at the hands of fate. Lose yourself in the complicated politics of the plotting Houses of the Dunmer, discover the strange and beautiful life that makes its home in the east, or uncover the secret histories that lie beneath the ash. Rediscover the lands of the east, reimagined and rebuilt in the 4th Era by a passionate and dedicated modding team.